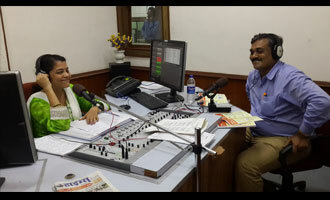 Prof. Dr. Anand Shedge, Head, MET Institute of Medical Sciences was recently invited by the All India Radio FM Gold 100.7 Hz. He was the guest expert on the popular radio programme ‘Talyat Malyat’ to speak and answer questions on the topic – ‘How to store and handle medicines, and related myths’. The show was engaging and there were many telephonic live questions that he handled during the programme. MET faculty members are indeed making waves, helping society at large.